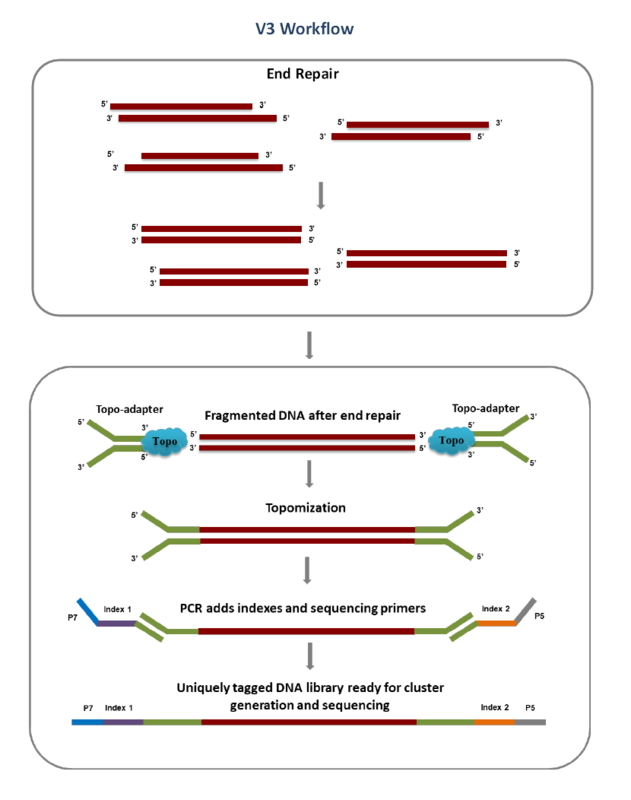 MCLAB’s Topomize DNA Library Prep Kit is an innovative and fast DNA library construction kit for next generation sequencing. 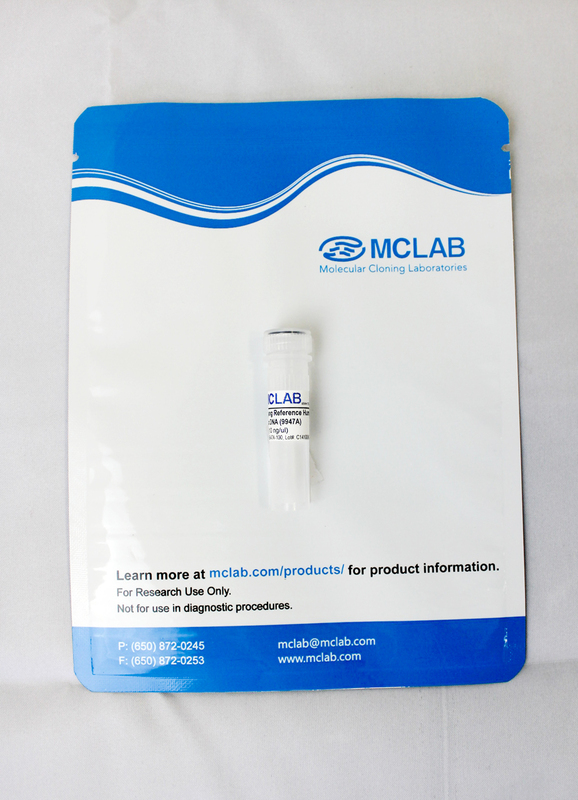 MCLAB’s Topomize DNA Library Prep Kit is an innovative, fast and high quality DNA library construction kit for next generation sequencing. Instead of using traditional ligase-based methods, our kit uses topoisomerase-based technology to attach adapters to fragmented DNA. 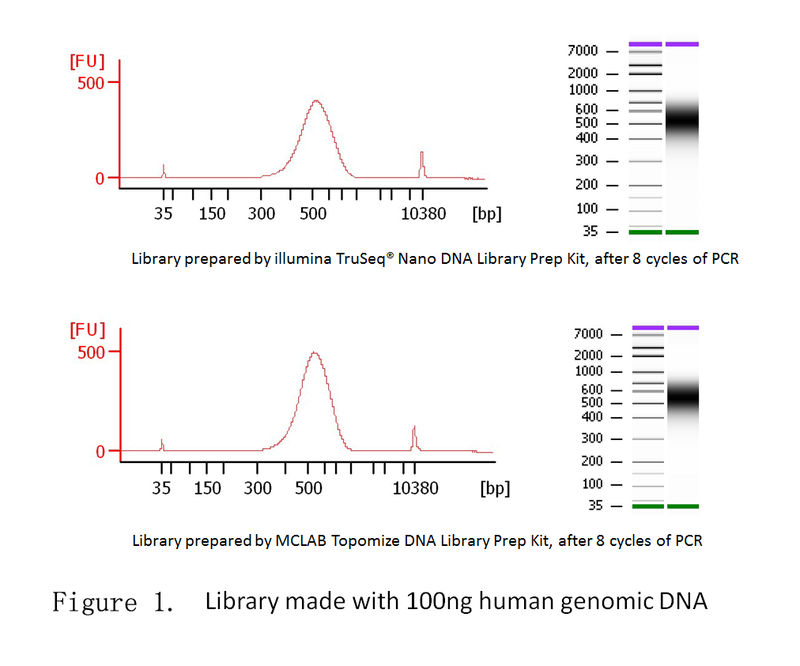 The Topomize DNA Library Kit has unparalleled efficiency and yield, with no adapter dimers or chimeras. 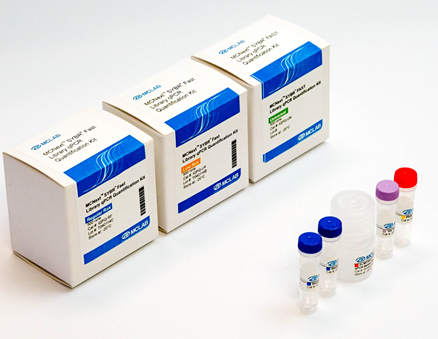 The kit is designed for 10ng to 1µg of sheared genomic DNA input, and is compatible with the Illumina platforms. 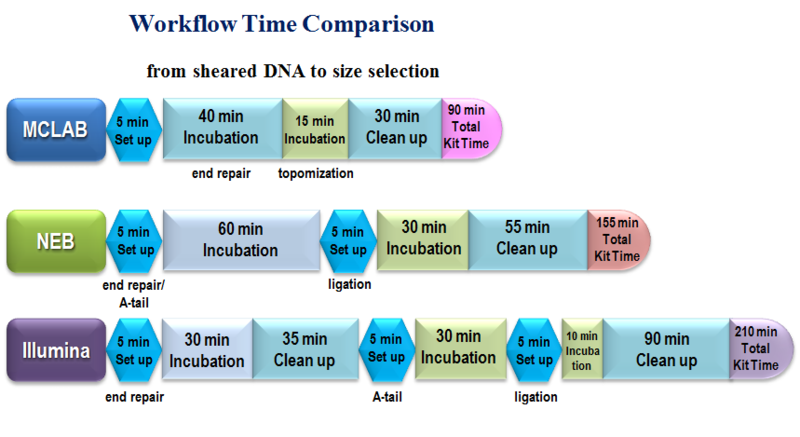 The streamlined workflow allows the DNA library to be ready in about 90 minutes.